Limak Kosovo International Airport JSC is moving ahead in the aviation industry amid the current expansion of its new terminal to accommodate at least four and a half (4.5) million passengers. New facilities, new partners, and a new strategy for building a better airport made 2011-2018 a busy and memorable period for Limak Kosovo International Airport JSC. We created a proud national landmark that reflects the advanced and modern capabilities of the Republic of Kosovo as well as its rich cultural heritage. The terminal’s layout optimizes passenger flow to ensure the convenience of travelers and visitors alike. 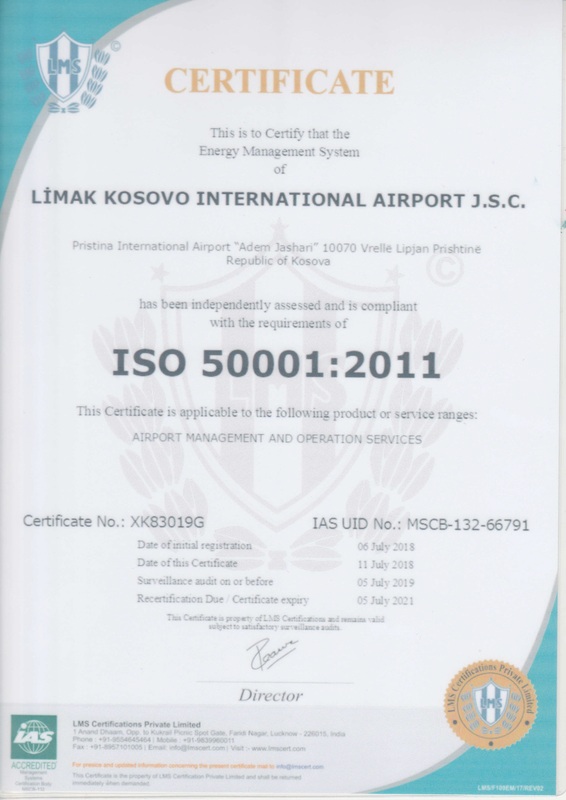 Having this in mind, we take pride in the importance of our role and the great responsibility entrusted to Limak and our partner Aeroports De Lyon for the management, operation, and development of Kosovo’s gateway to the world. 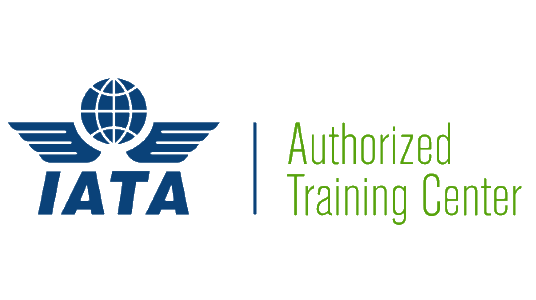 Working alongside with our partner with mutual commitment and trusted advisories has guided us on plotting and staying on our long course of actions towards successfully managing Limak Kosovo International Airport JSC. We look beyond the limitations and barriers by focusing on success and progress built by our young, educated and dedicated employees- the valuable assets of our company who make the challenges become part of our experience. In late 2013, Limak-led conglomerate group won Turkey’s biggest tender in its history to operate one of the world's largest airports in Istanbul, with its first phase planned open in the late 2018, marking a significant sign of the country's determination and ambition to become a global transit hub. 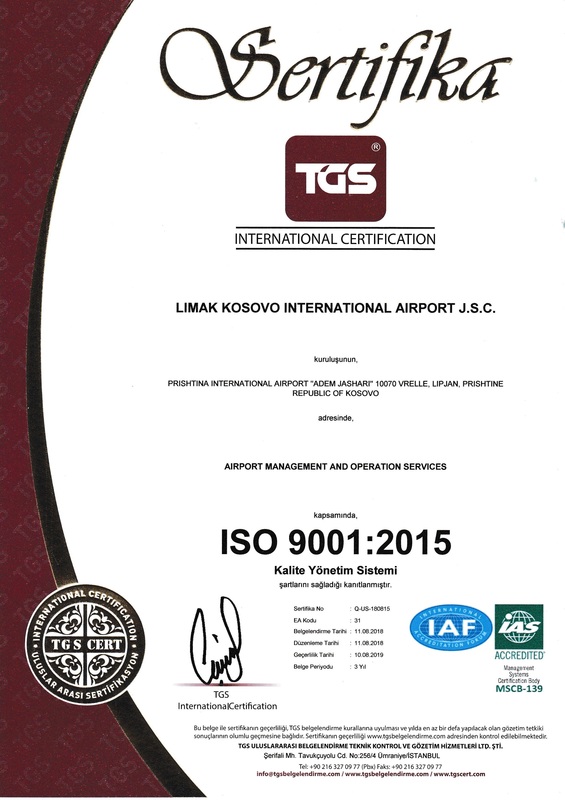 Carrying on the Limak Group’s legacy, the new terminal is continuing to build on the airport’s consistent track record of success. Through our ongoing development programs and by building strong global connections, we aim to position the Republic of Kosovo as a good choice for leisure and business travels as well as a convenient transfer hub in the Balkans region.